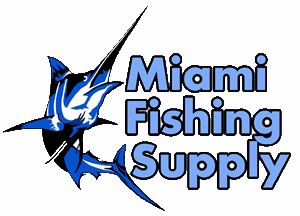 Fin-Nor Offshore Series Spinning Reels Miami Fishing Supply, complete selection of offshore fishing tackle, marine electronics and boat supplies. 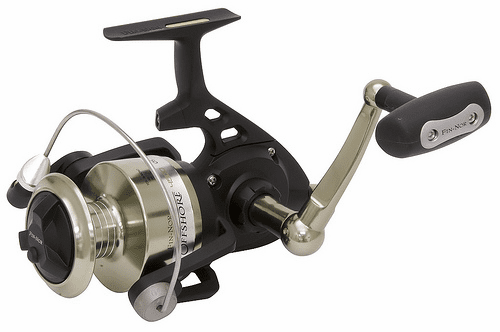 Fin-Nor's Offshore spinning series with their powerful 4.4:1 gears are ideal for controlling the battle in deep water. Strong aluminum bodies and 4 double-shielded bearings provide a solid foundation for the stainless steel drive gear and pinion gear, backed up by a strong stainless steel center shaft. Our Offshore multi-stacked drag system, made up of 10 cotton/carbon fiber and stainless steel washers, is ultra-smooth, and ultra-durable, just as you would expect from a Fin-Nor reel. 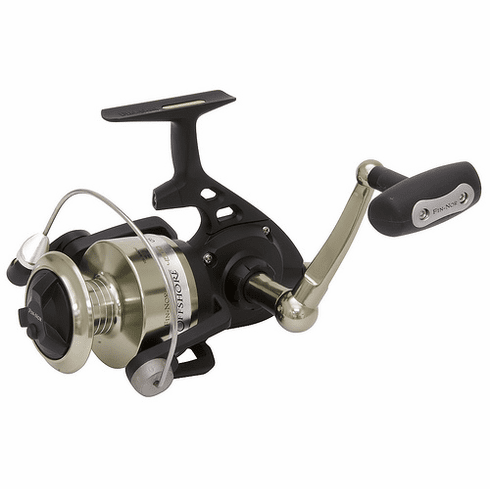 Fin-Nor's Offshore spinning reels are now available in 6 different sizes including the new 4500 and 5500 sizes. Mono: 360 yds./ 17 lb, Braid: 300 yds./ 50 lb, Drag: 35 lbs, Gear ratio: 4.7:1 / 36"
Mono: 330 yds./ 20 lb, Braid: 375 yds./ 50 lb, Drag: 48 lbs, Gear ratio: 4.7:1 / 38"
Mono: 400 yds./ 20 lb, Braid: 400 yds./ 50 lb, Drag: 60 lbs, Gear ratio: 4.4:1 / 38"
Mono: 460 yds./ 20 lb, Braid: 365 yds./ 65 lb, Drag: 60 lbs, Gear ratio: 4.4:1 / 40"
Mono: 540 yds./ 20 lb, Braid: 400 yds./ 65 lb, Drag: 60 lbs, Gear ratio: 4.4:1 / 43"
Mono: 600 yds./ 20 lb, Braid: 470 yds./ 65 lb, Drag: 60 lbs, Gear ratio: 4.4:1 / 47"